Tokyo- (PanOrient News) The Japanese government announced that it would allocate $13 million for relief efforts in response to the humanitarian crisis in Syria and for refugees in Lebanon, to be used in such areas as health, sanitation and shelters. Tokyo ? 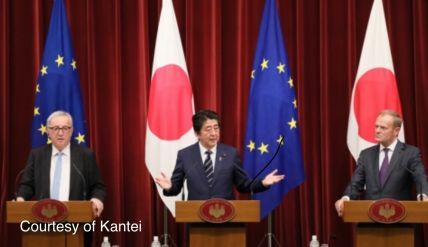 (PanOrient News) Greenpeace International called on the European Union and Japanese parliaments to reject the EU-Japan trade deal that was signed by the Japanese government and the European Commission on July 17 in Tokyo. Greenpeace International’s senior political strategist, Shira Stanton said in a statement that such trade deals “smack of corporate protectionism” at the expense of democracy, social rights and environmental protection.